It’s a way to celebrate your child’s birthday at school. Reminder: Birthday celebrations are not permitted during the school day. Treats for the classroom are also not permitted. NEW!! Click here to use our new electronic order form to sign up and pay for Giving Tree online. Fill out the printable order form and submit a check for $15.00 made out to Weaver PTA. Drop it off in the The Giving Tree box in the front office by 1st Monday of your child’s birthday. (July & August are due by 8/20/18 and May & June are due by 5/6/19). We suggest you submit the form now so that you don’t miss this great opportunity to celebrate your child’s birthday. Please contact TheGivingTreePTA@gmail.com with any questions. During the month of your child’s birthday we will celebrate him/her in front of the whole school and they will receive a book of their choice to take home and keep forever. As well as a personalized book mark with your message on it. 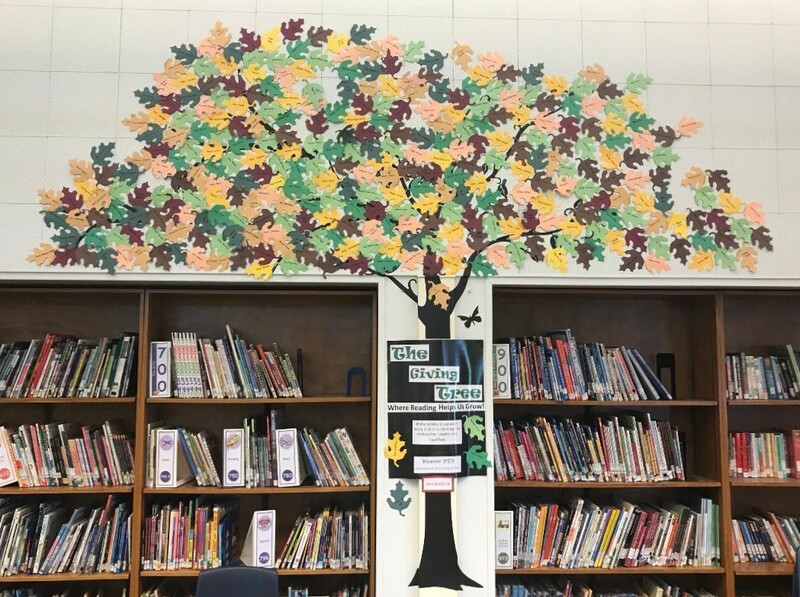 The Giving Tree birthday crew will hang a leaf on the tree in the media center with your child’s name and birthday on it. The PTA has created a literacy fund which will allow Weaver school to purchase the necessary equipment and books for the classrooms and media center each year. It is an opportunity to help make a mark on the school & classroom libraries forever.